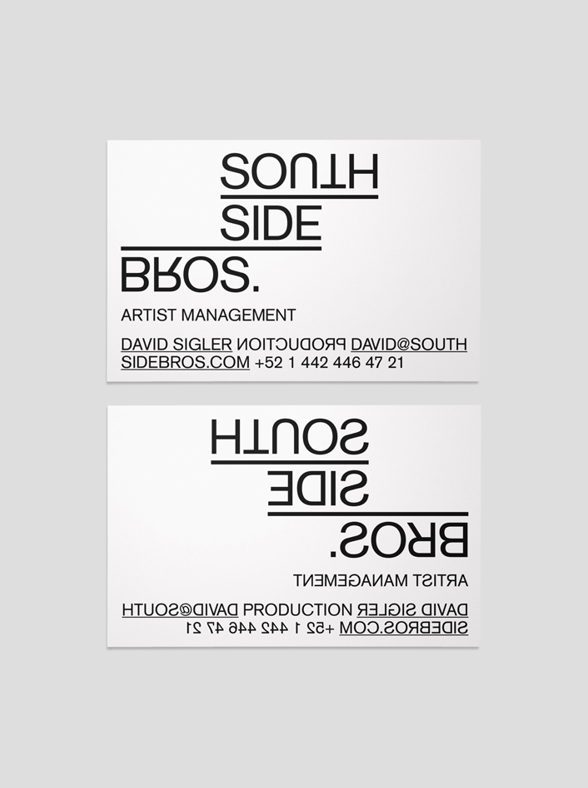 berger + Co. > South Side Bros.
South Side Bros. is a boutique management and public relations company created by a consortium of musicians, designers and record industry producers. The basis for the identity is created through a modular system with which messages, phrases and song lyrics of any length can be integrated as part of the identity itself. The logo can work by itself or become further fleshed out by the user himself by activating and putting into use the system devised as the company's identity.